A severely decayed or damaged tooth is extremely vulnerable to infection. In the past, teeth that were compromised by large cavities or fractures may have been treated through extraction. Once an infection or abscess developed, an extraction was often the only cure as well. Patients would then have a missing tooth, which would have to be restored. Without a replacement bridge or partial denture, the gap left behind by the missing tooth could lead to oral health problems. Misalignments caused by drifting teeth, an increased risk of tooth decay in adjacent teeth, and gum disease are all common complications that can arise after a tooth is lost. Our dentist in West Hollywood has another solution for patients with damaged, decayed, or infected teeth today: root canal treatment. Our expert for root canal treatment in West Hollywood can use a root canal to prevent the loss of your tooth. A root canal removes the damaged or infected inner pulp of the tooth and leaves the actual tooth structure intact. The tooth is then cleaned and sealed against further contamination. The two-part process is completed when our West Hollywood root canal treatment specialist protects and preserves the tooth with a filling or a crown, depending on how much damage the tooth has sustained. 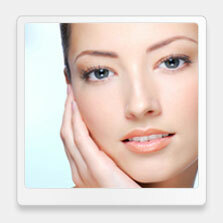 Although it can be a lengthy procedure, it usually is no more painful than a filling. Those who suffer from dental anxiety may opt for conscious sedation, or sedation dentistry, in order to allow them to feel comfortable during the procedure. Our dentist offers a range of sedation options, including oral sedation and nitrous oxide, for those who experience dental phobias. We can help you remain more relaxed and calm throughout your root canal treatment. 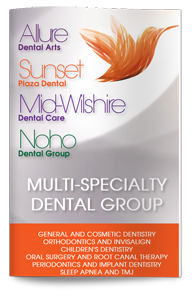 Dr. Kakoli is our specialist for root canal treatment in West Hollywood and a certified endodontist. If you have a broken, infected, or severely decayed tooth, Dr. Kakoli will perform a thorough dental exam to determine the extent of damage. You may have the root canal treatment at your initial visit, or we may be able to schedule your treatment for a subsequent visit. Our West Hollywood root canal treatment expert has extensive experience performing root canals and can help you determine the best treatment and restoration options for your situation.